Do organizations in the West offer more generous health care benefits? 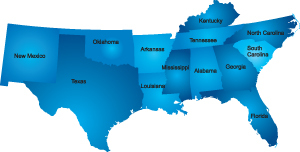 Are those in the South more likely to offer automatic features in their defined contribution plans? The International Foundation’s Employee Benefits Survey 2014, the fourth offering in its benefit benchmarking series, included a number of demographic questions. Responses gave the Foundation research team the ability to analyze large data sets by employment sector, industry, and employer size. By a wide margin, Western respondents are the most likely to offer access to a health maintenance organization (HMO) (60.4%). In addition, 14.6% of Western organizations have the majority of their workers enrolled in these plans. They are also the most likely to have fully insured health plans (54.2%). Western organizations are the most likely to offer a 401(k) plan (93.8%). Those enrolled also have the foremost access to participant-directed investments (93.8%). These organizations are the most likely to offer managed accounts as a defined contribution plan investment option (40.6%). Western organizations have the most generous access to employee assistance plans (56.3%), funeral planning (12.5%) and grief counseling services (29.2%) as survivor benefits. They most frequently offer paid floating holidays (54.2%) and are the most willing to continue health care benefit accruals during disability (69.2%). According to our results, Midwestern organizations are the most likely to offer dependent coverage to stepchildren (74.3%). Of those that offer defined benefit plans, Midwest organizations most commonly offer a lump-sum distribution option (57.9%). These organizations are the most willing to offer a payout of accrued time off (43.8%) as a survivor benefit. Of those that offer paid holidays, Midwest organizations are the most likely to offer Easter (26.4%) and Labor Day (98.6%). Among the regions, Midwestern employers most frequently provide paid bereavement leave (93.1%). Responding organizations from the Northeast/Mid-Atlantic most commonly cover the cost of hearing benefits (34.9%). 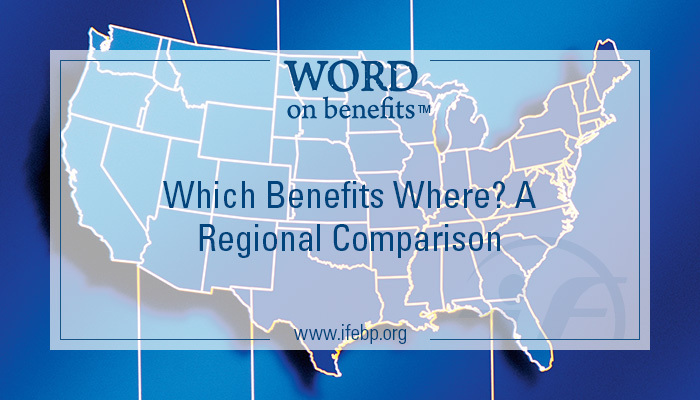 Respondents from this region are the most likely to offer both defined benefit (36.1%) and defined contribution (75.9%) retirement plans. Northeastern organizations most commonly continue employer defined contribution plan contributions during periods of disability (20.5%). Organizations from this region are the most willing to offer paid leave to vote (47.0%). Southern respondents to our survey were the most likely to offer health care to foster children (63.4%). On the retirement front, organizations from the South are the leader in employer matching (93.6%) in their defined contribution plans. Southern organizations are the most likely to continue survivor benefits for dependents of retirees (26.2%). In addition, Southern respondents are the most likely to offer short-term disability to workers (90.5%), and paid leave for jury duty (90.5%). These organizations most frequently design benefit offerings exclusively for executives (50.0%). Find more information on the newly released Employ​ee Benefits Survey 2014. And stay tuned for more special reports from the Employee Benefits Survey here on the Word on Benefits. 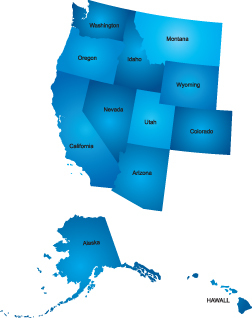 *The regions break out as follows: West (AZ, AK, CA, CO, HI, ID, MT, NV, OR, UT, WA, WY), Midwest (IA, IL, IN, KS, MI, MN, MO, ND, NE, OH, SD, WI), Northeast/Mid-Atlantic (CT, DE, DC, ME, MD, MA, NH, NJ, NY, PA, RI, VA, VT, WV), and South (AL, AR, FL, GA, KY, LA, MS, NC, NM, OK, SC, TN, TX).